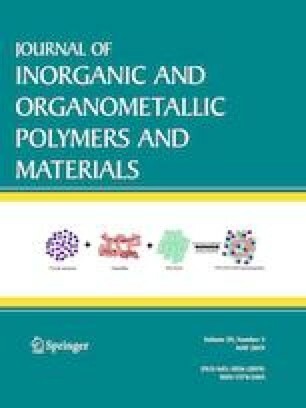 Graphene oxide (GO) modified urea-melamine-phenol formaldehyde resin (UMPF) was reinforced by R-glass fiber woven. GO was reduced by UMPF to reduced graphene oxide (RGO). Transmission electron microscopy (TEM), atomic force microscope (AFM), and scanning electron microscopy (SEM) were used to analyze the morphology and dispersibility of RGO in UMPF. Compared with the pure R-glass fiber woven reinforced urea-melamine-phenol formaldehyde resin (RFW-UMPF), the thermal conductivity and carbon residual value (CRV) of R-glass fiber woven reinforced GO modified urea-melamine-phenol formaldehyde resin (RFW-GO/UMPF) (0.8 wt% RGO) at 800 °C were increased by 6.3% and 20%, respectively. Anti-ablation researches revealed that with 0.8 wt% RGO loading, the linear ablation rate (LAR) and mass ablation rate (MAR) of RFW-GO/UMPF deceased by 25.6% and 12.6%, respectively. Moreover, the enhancement mechanism of RGO on anti-ablation properties and alkali corrosion resistance (ACR) performances were systematically discussed. This work was supported by The Priority Academic Program Development of Jiangsu Higher Education Institutions (PAPD); the National Natural Science Foundation of China under Grant No. 51772151; Nanjing University of Aeronautics and Astronautics PhD short-term visiting scholar project under Grant180502DF06; and The Construction Project of NUAA Suqian Institute of Advanced Materials and Equipment Manufacturing under Grant BM2016010.